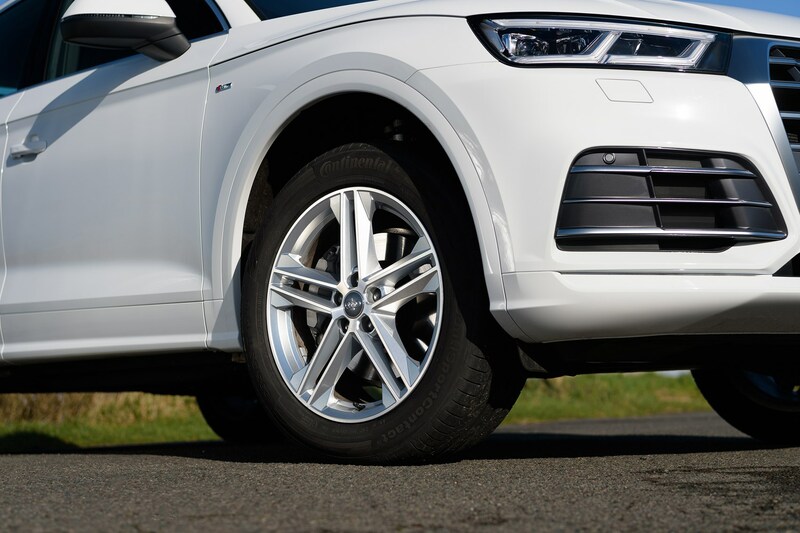 Insurance group: 25 - 45 How much is it to insure? 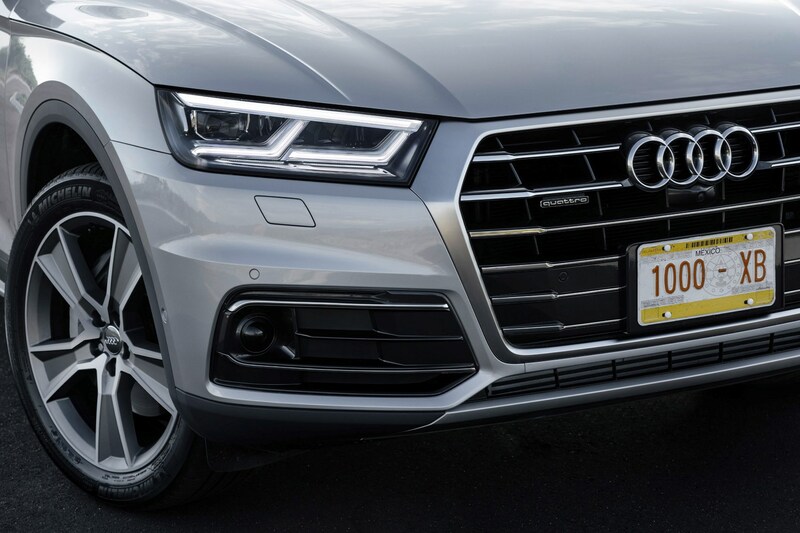 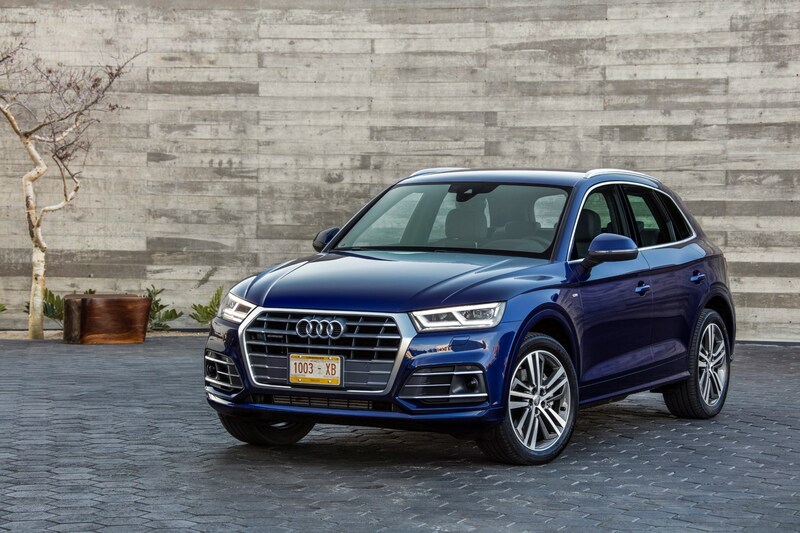 Despite its same-again looks suggesting otherwise, the second-generation Audi Q5 SUV is based on different underpinnings, with A5 Coupe-aping voluptuousness along the flanks, and a chunkier Q7-esque grille lending an aggressive air to the front end. 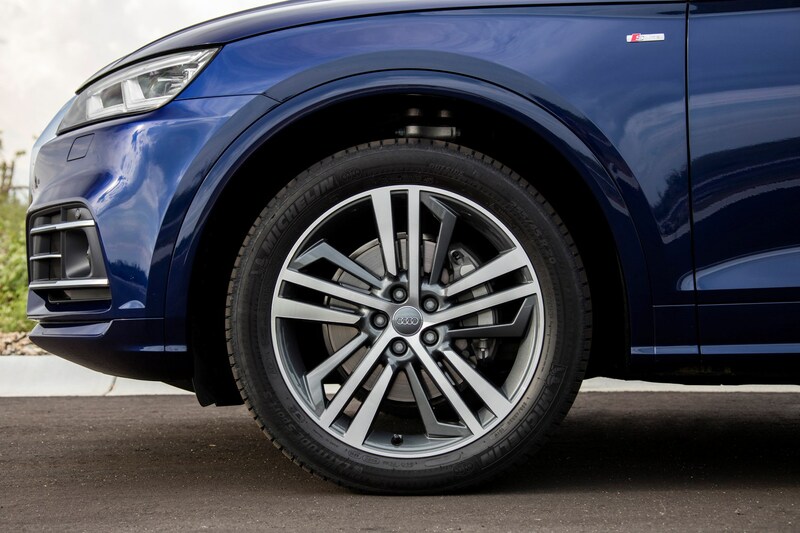 Depending on the model, it’s also shed up to 90kg of heft. 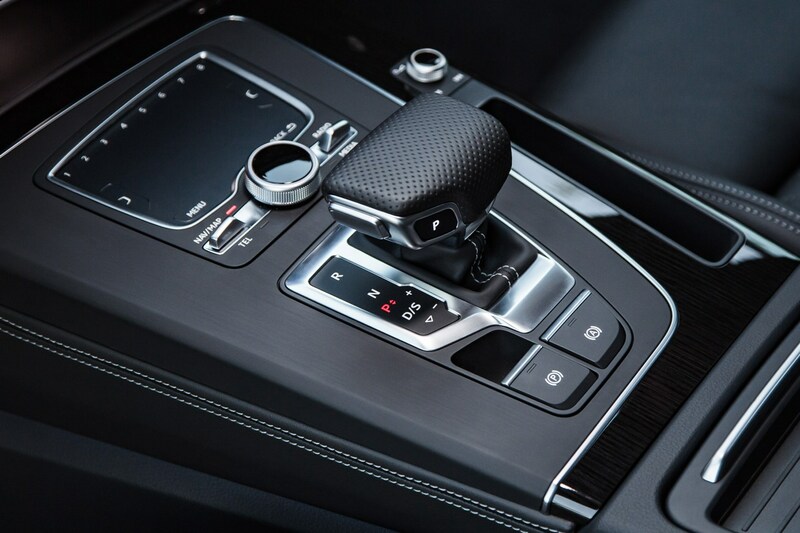 As before, the Q5 has a fearsome ensemble of competitors: the BMW X3 and Mercedes-Benz GLC are vying against the Audi, while the Land Rover Discovery Sport and Range Rover Evoque mount a two-pronged British assault. 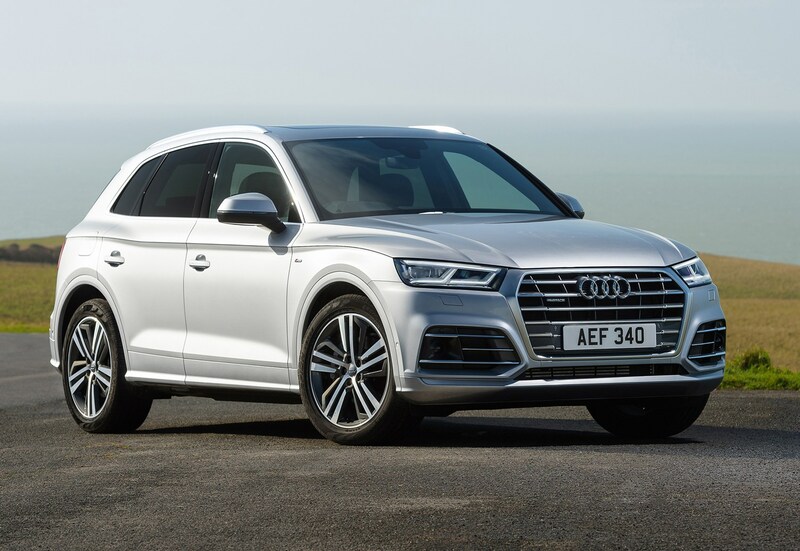 Further alternatives include the Alfa Romeo Stelvio, the Lexus NX and the evergreen Volvo XC60. 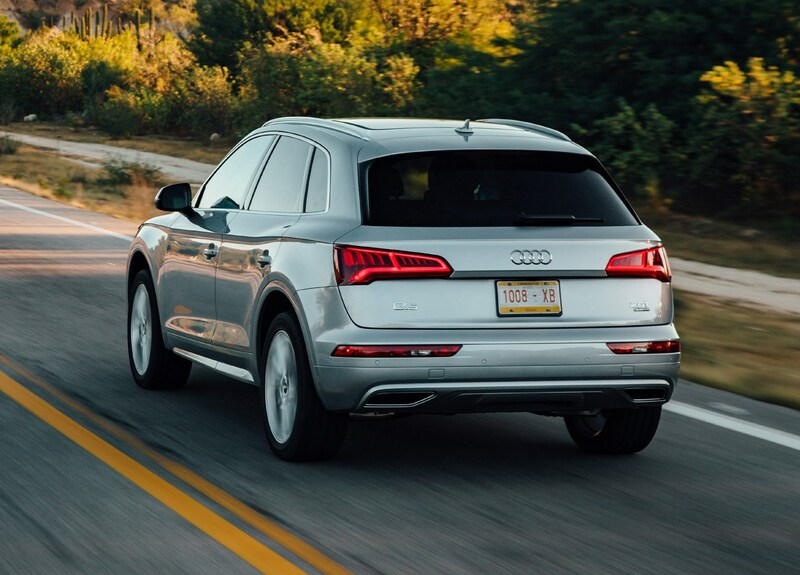 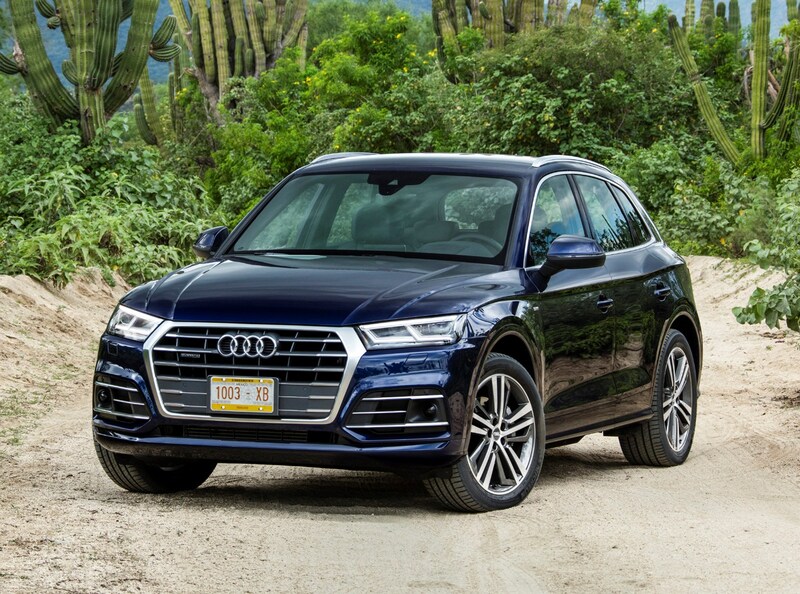 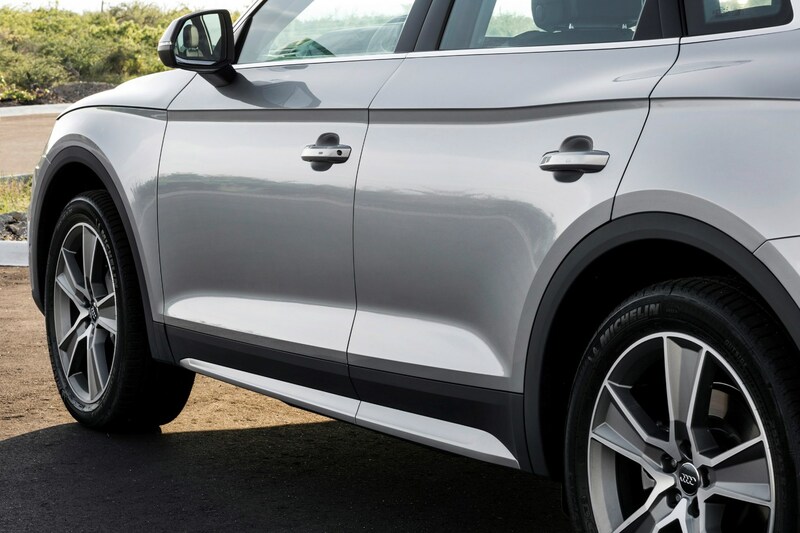 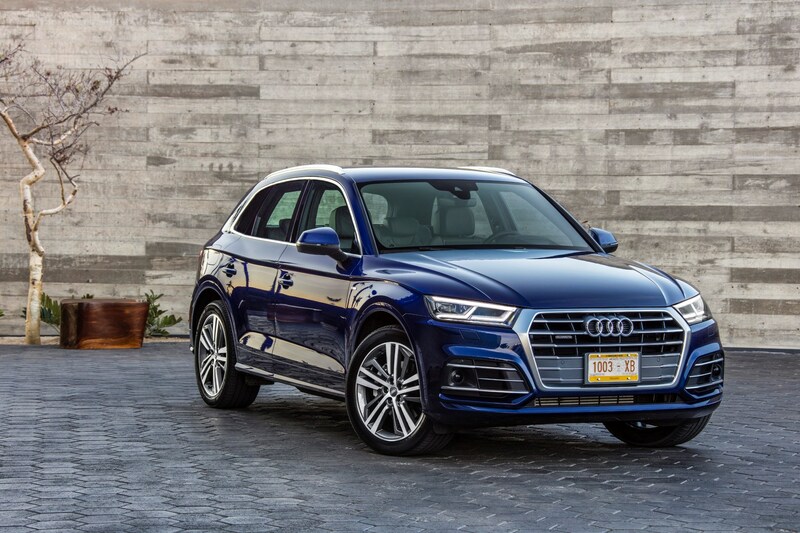 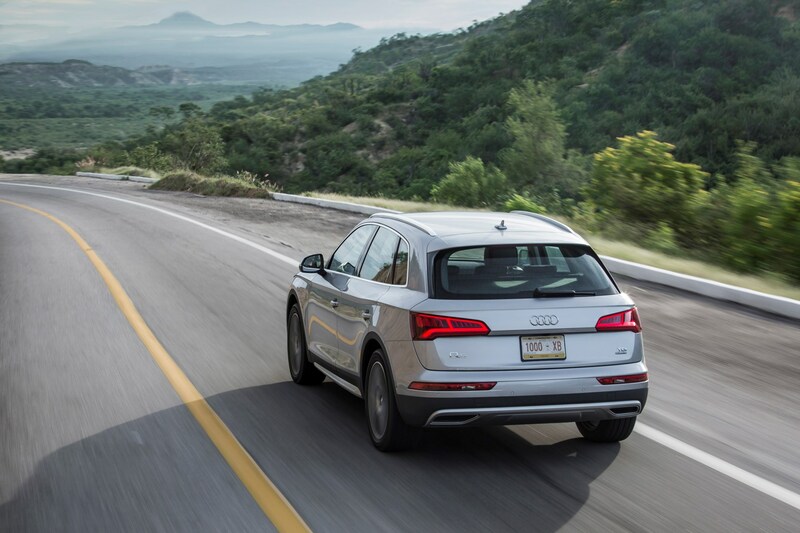 Assembled at purpose-built facility in Mexico, there’s a greater degree of aluminium and high-tensile steel used in the Q5’s construction; this time around it’s both stronger and lighter, that latter aspect benefitting overall efficiency. 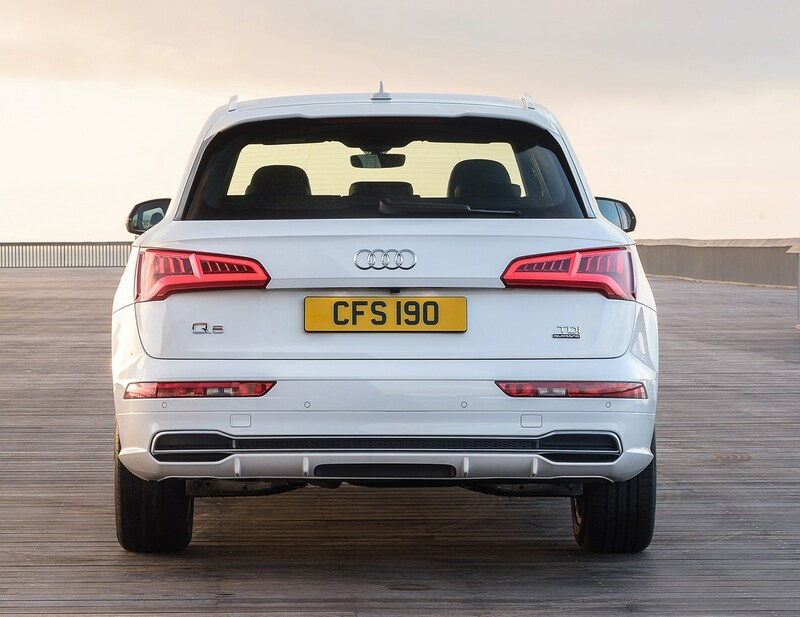 It also cleaves the air more effectively than any of its SUV rivals, with a drag-coefficient of 0.30, which is relatively low for this size and shape of car. 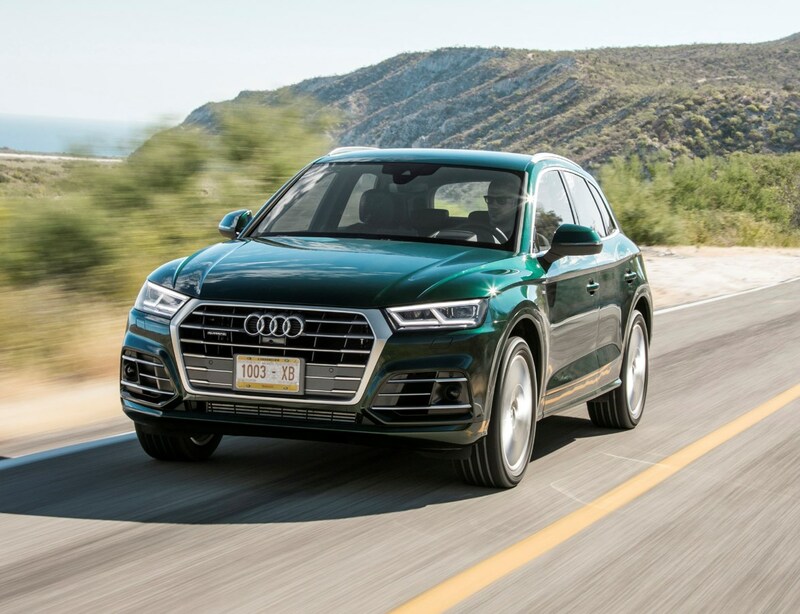 Technology and the whole SUV sector have moved along leaps and bounds since the first Q5 appeared, with the second-generation model employing many of the benefits of the latest features. 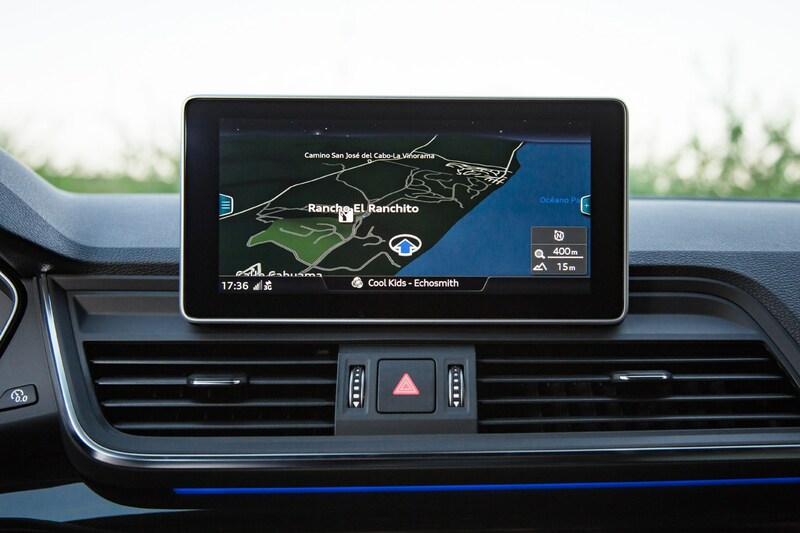 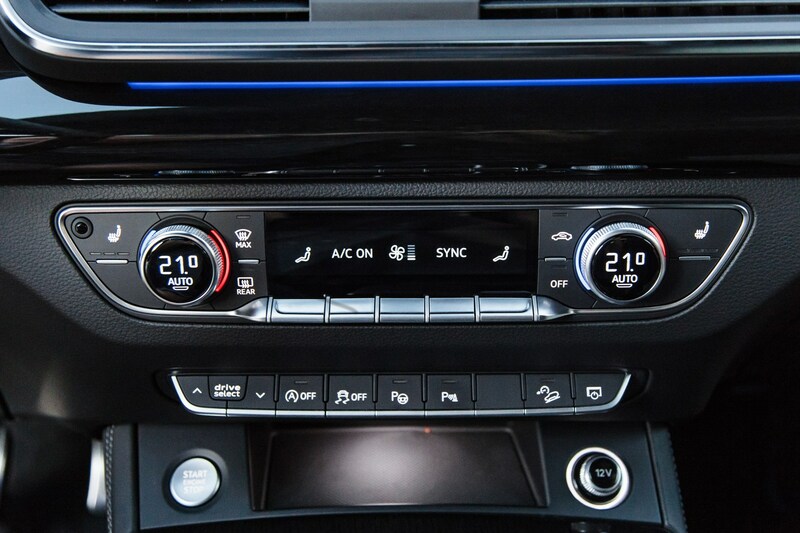 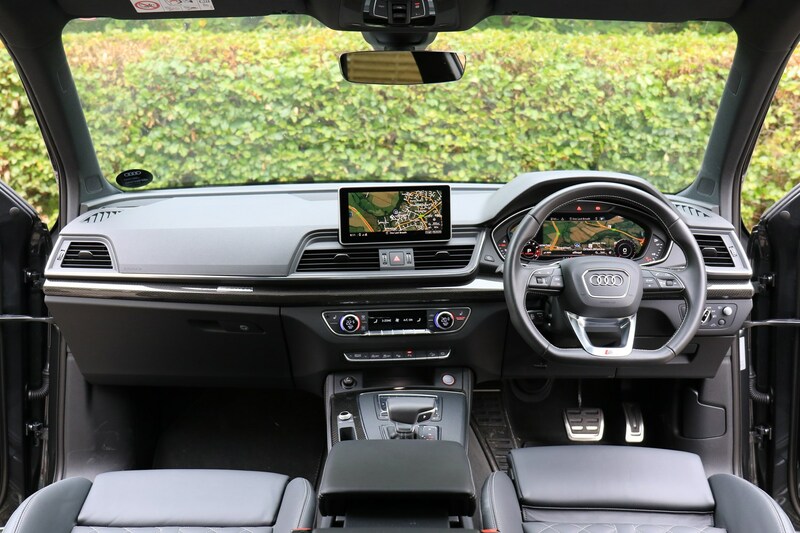 An improved MMI (Multi Media Interface) with much more responsive voice control is the centrepiece of the impeccably well-constructed new cabin. 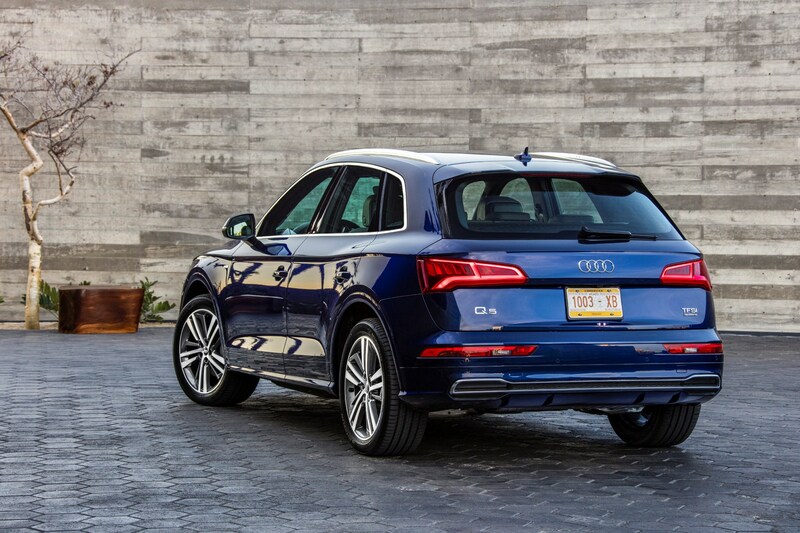 It now feels like it fuses the styles of the A4 and Q7 – no great surprise and no bad thing either. 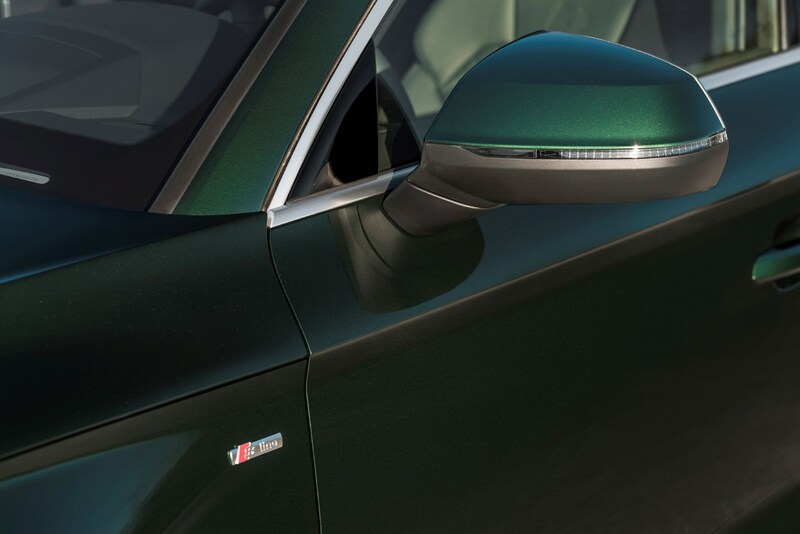 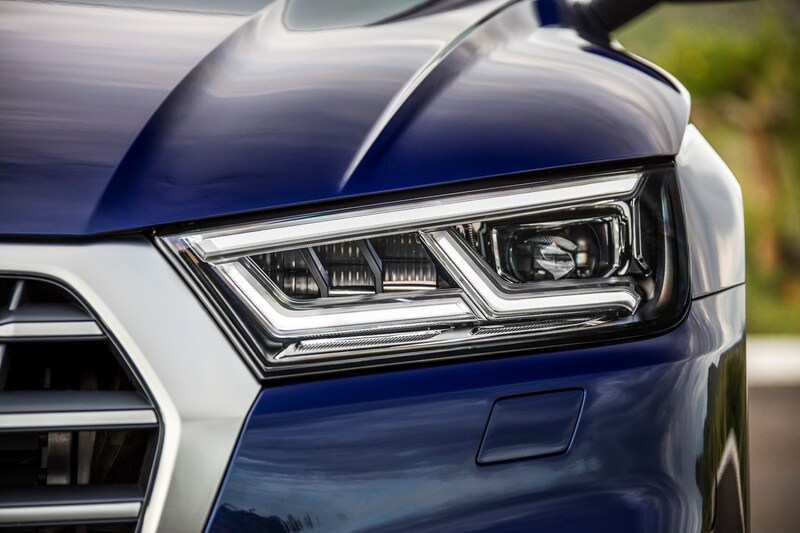 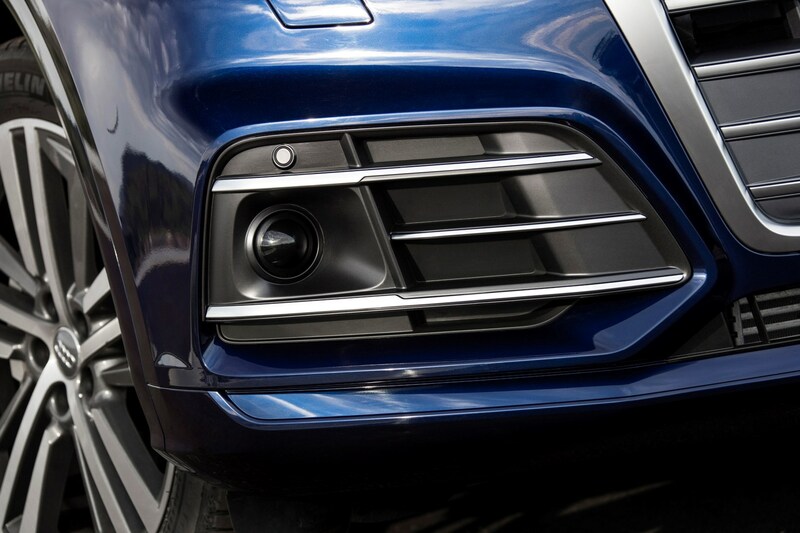 Outside you’ll spot niceties such as the (optional) LED matrix headlights that automatically adapt their beam patterns to road types and weather conditions. 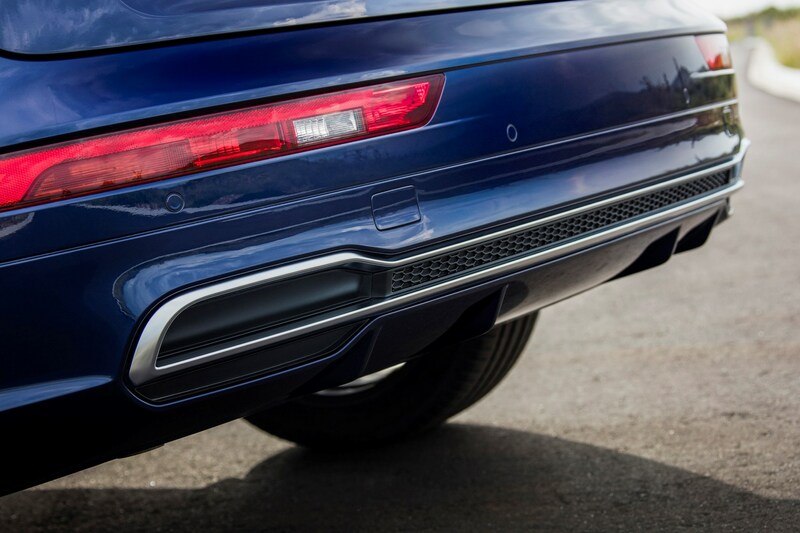 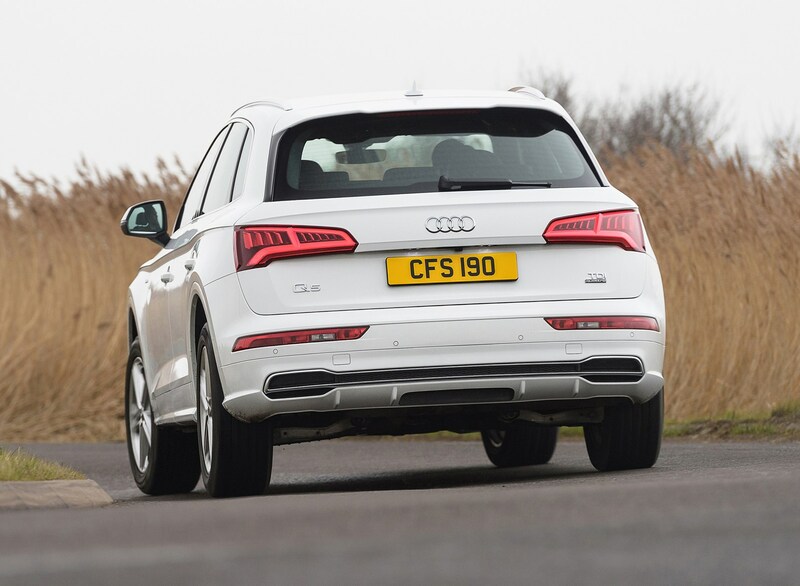 But the tour de force you feel rather than see is the adaptive air suspension. 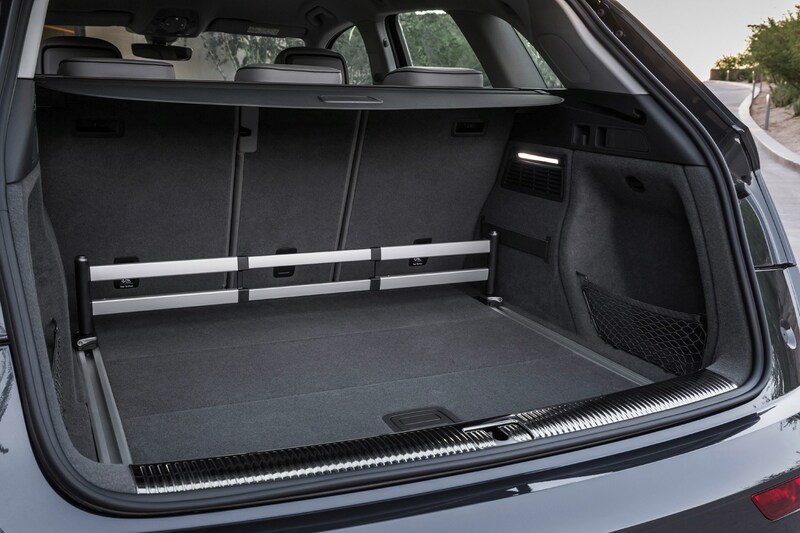 That also costs extra, but should be top of your priority list if you can stretch to it. 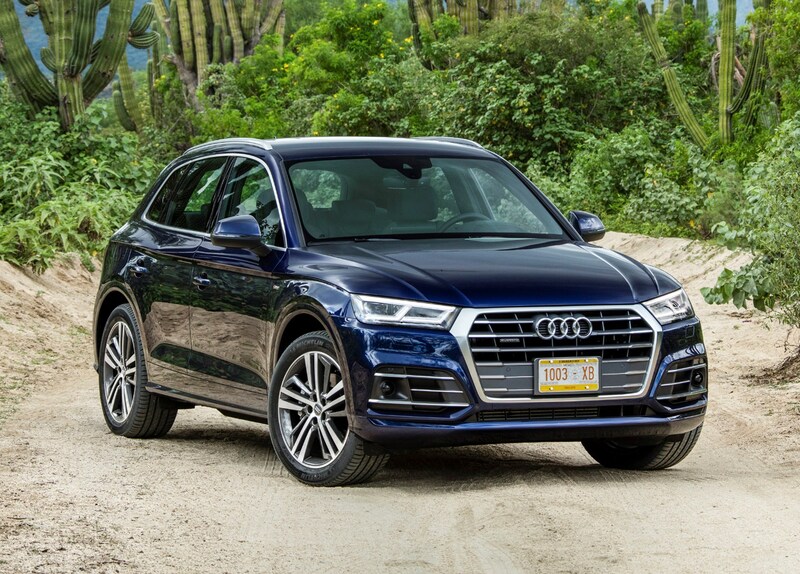 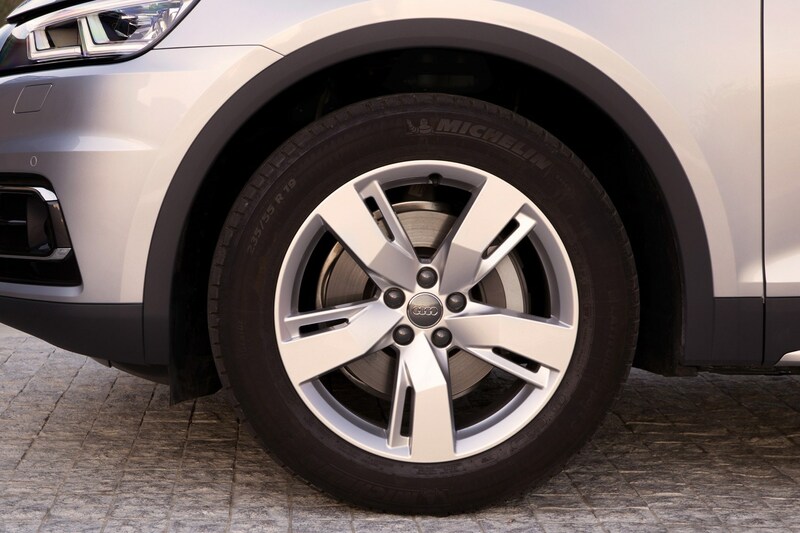 By allowing the car to be raised by up to 45mm in Offroad mode, the Q5 becomes much more capable off the beaten track, able to traverse terrain that would halt models with the standard suspension arrangement. 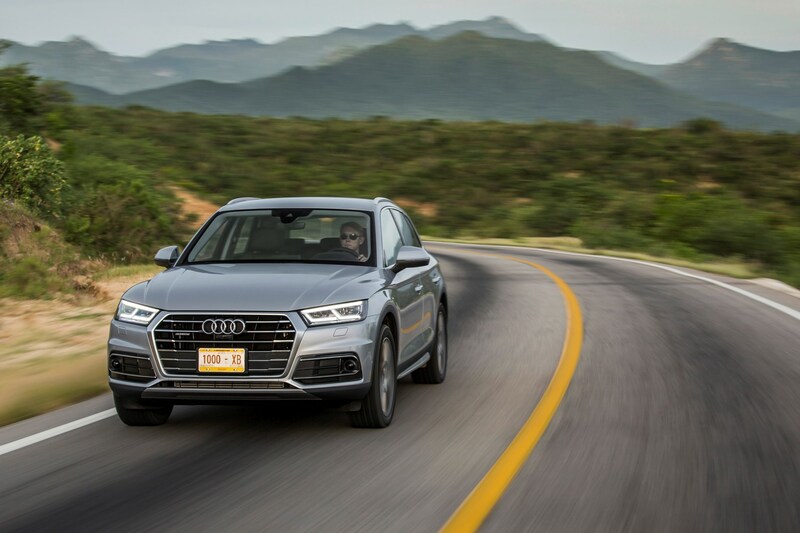 It’s never going to be a rugged go-anywhere SUV – that the Quattro Ultra all-wheel drive system is not permanent on 2.0-litre models and has no method of locking drive to all four wheels sees to that – but it’s more capable than you’d expect. 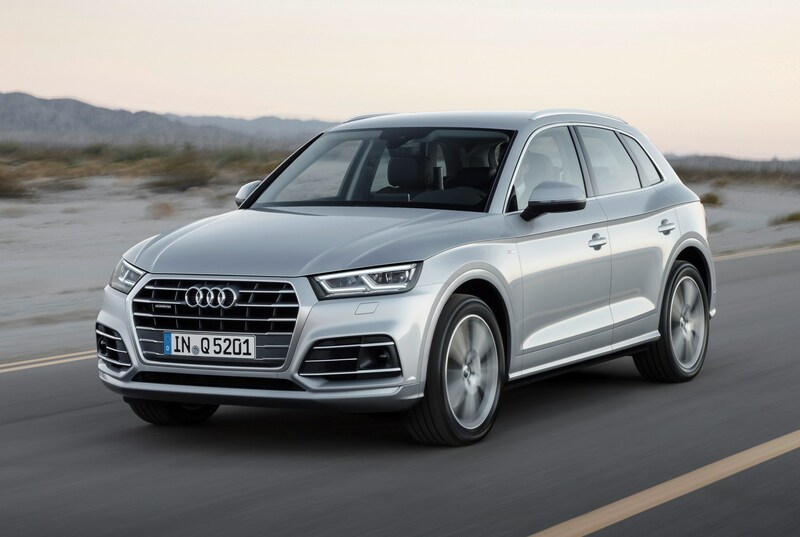 There were as many as four different engines choices available in the Q5, however as of mid-2018 all but the 190hp 40 TDI version has been taken off sale. 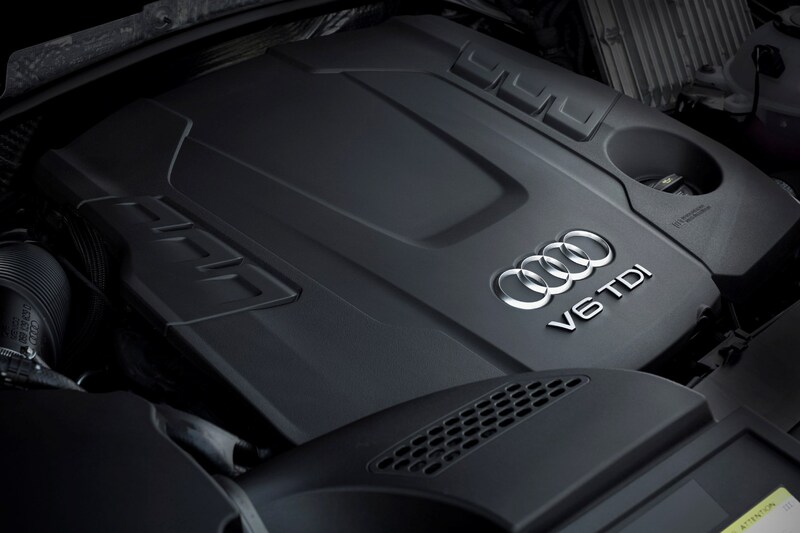 We expect most if not all other engine choices to be reinstated at some point in the future. 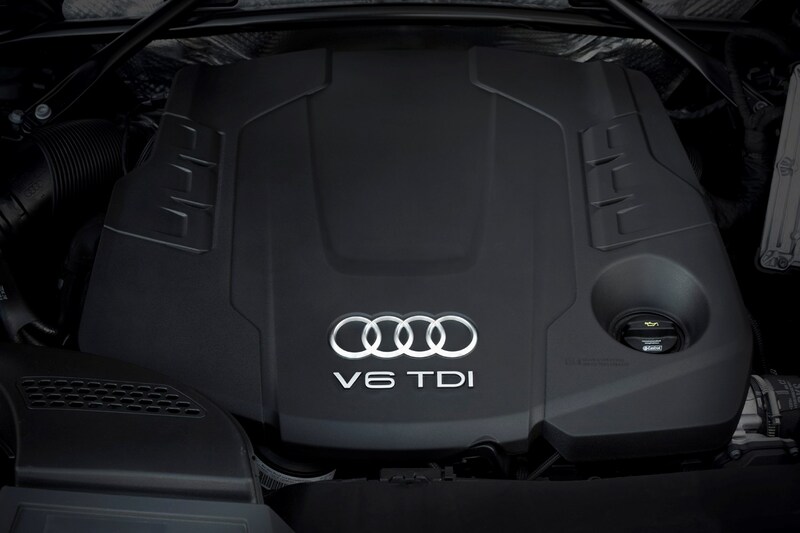 This would mean a choice of two petrols and two diesels. 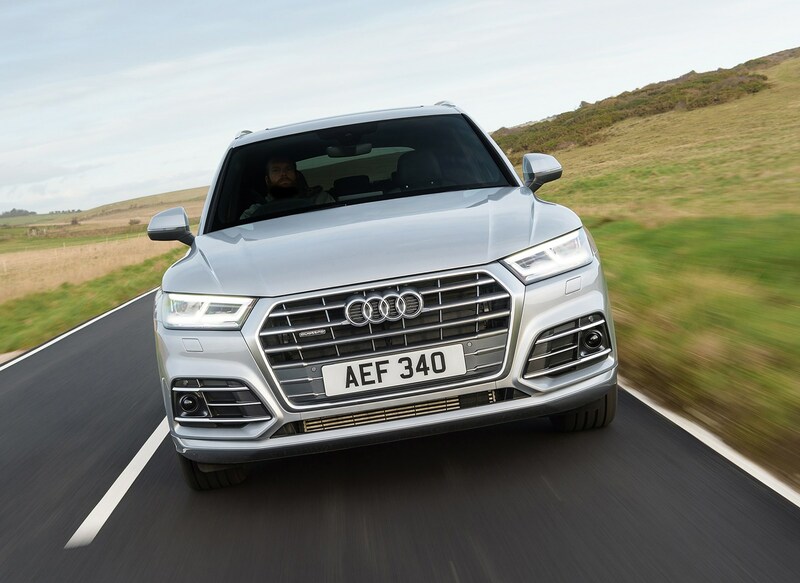 For those looking for the silky smoothness of petrol there’s the 45 TFSI (Audi switched to a numerical engine naming structure for the Q5 in 2018) and the flagship SQ5 – the former using a 2.0-litre turbocharged in-line four-cylinder engine and the latter a 3.0-litre turbo V6. 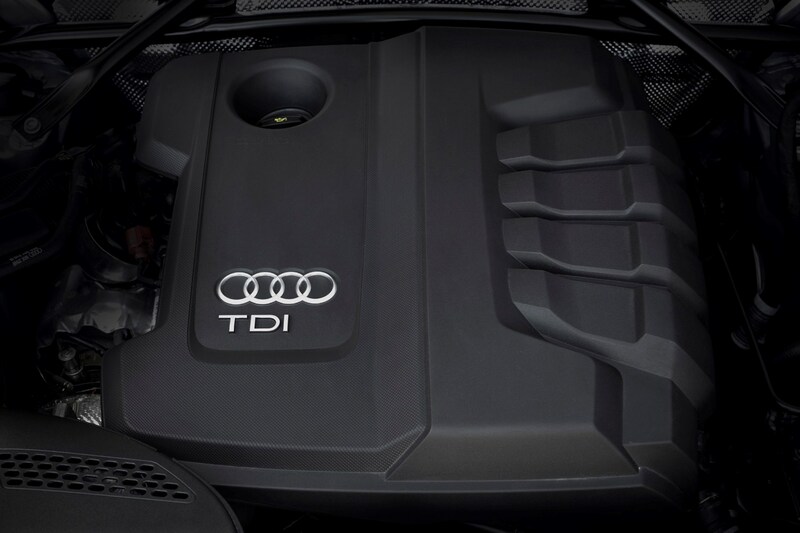 Diesel buyers, meanwhile, will have the aforementioned 2.0-litre (40 TDI) and yet-to-be-renamed 3.0-litre V6 TDI to choose from. 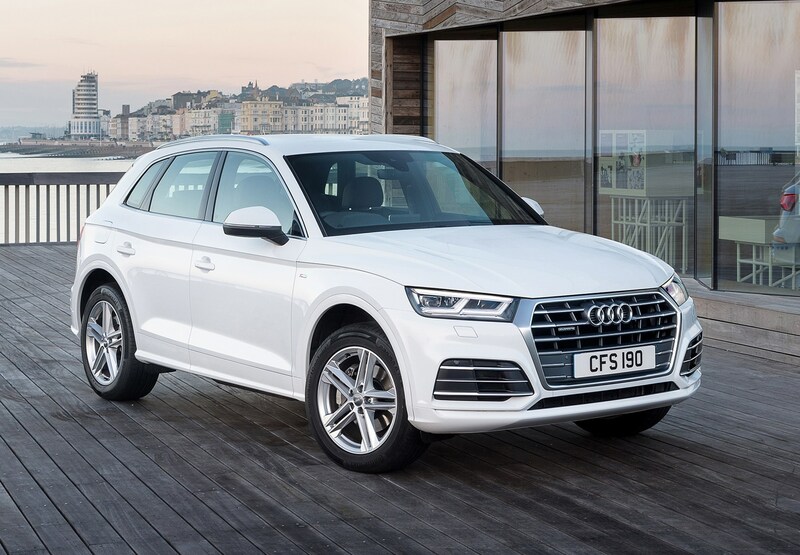 Both 2.0-litre versions come with Quattro all-wheel drive and a seven-speed S-Tronic dual-clutch automatic, while the 3.0-litre models benefit from an eight-speed Tiptronic auto. 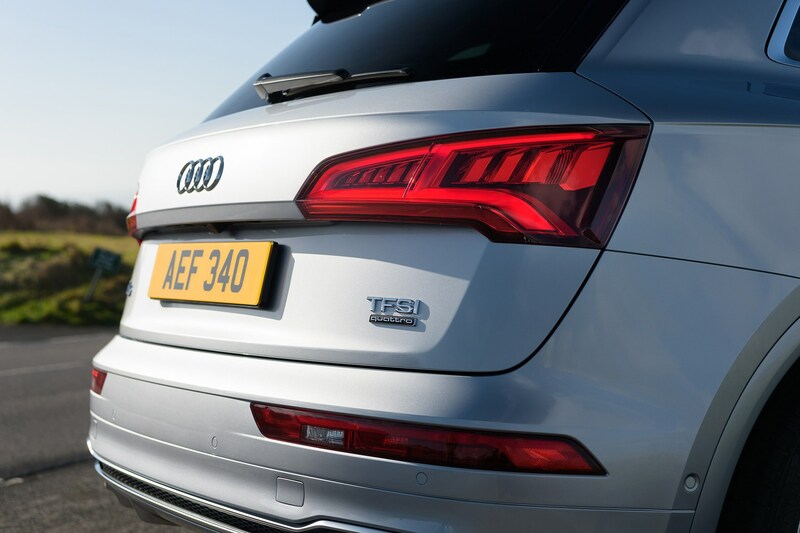 Originally launching with the tried-and-tested SE, Sport and S Line format – the Q5 range has evolved, jettisoning the base SE version and introducing Black Edition and top-spec Vorsprung above S Line. 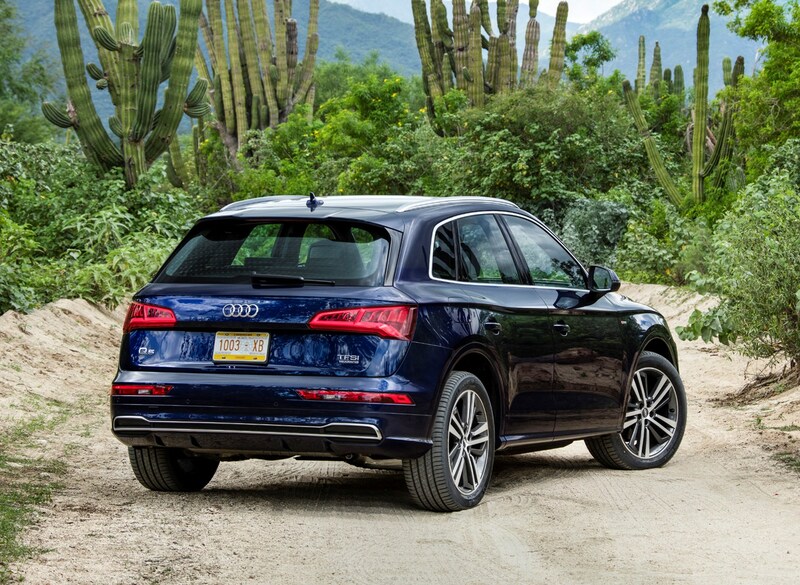 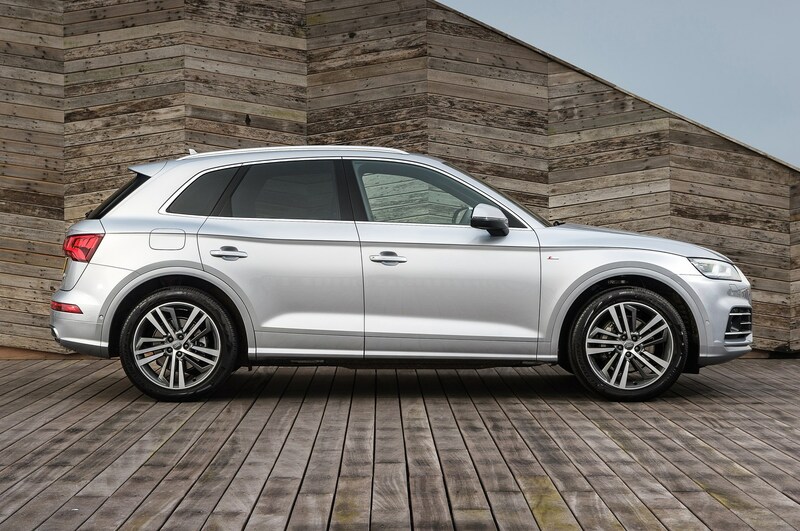 The higher performance SQ5 is effectively a trim level in itself. 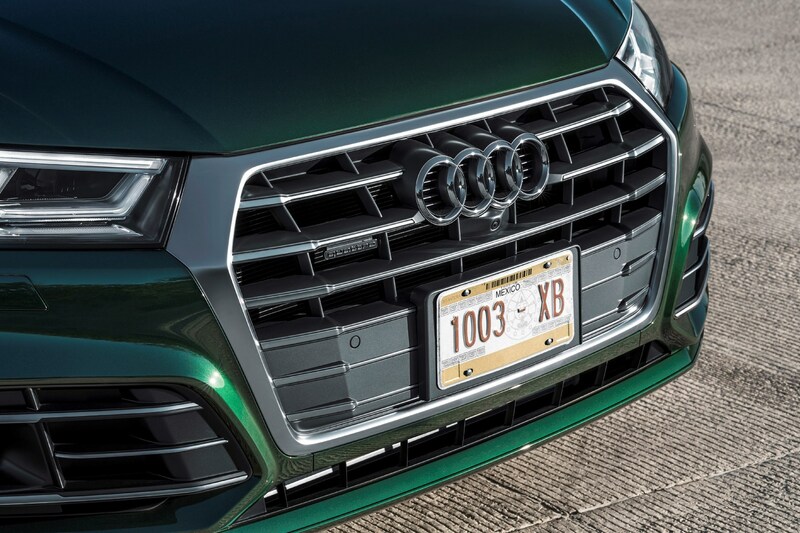 Most are expected to plump for the S Line version, but there’s no need to feel short-changed by saving some brass and going for the Sport. 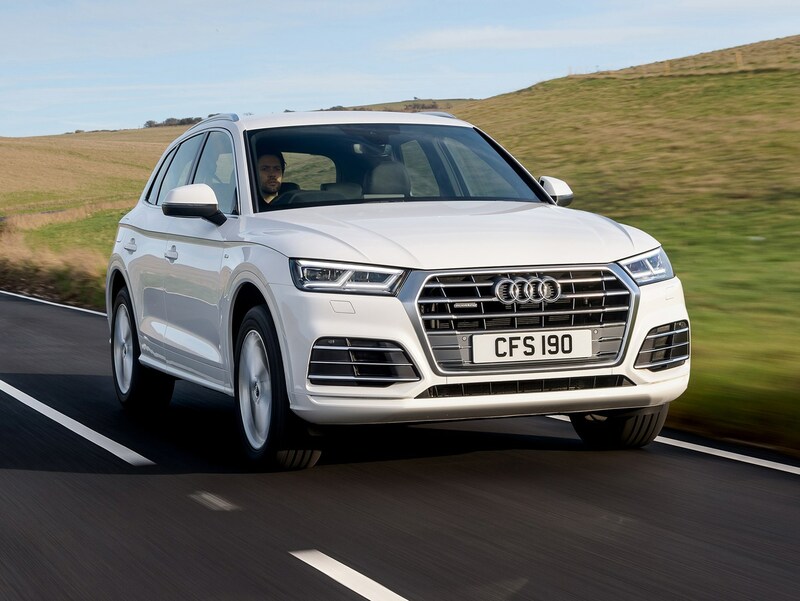 You’ll still get 18-inch alloy wheels, xenon headlights with LED day-running lights, leather upholstery, sat-nav, three-zone climate control and keyless ignition. 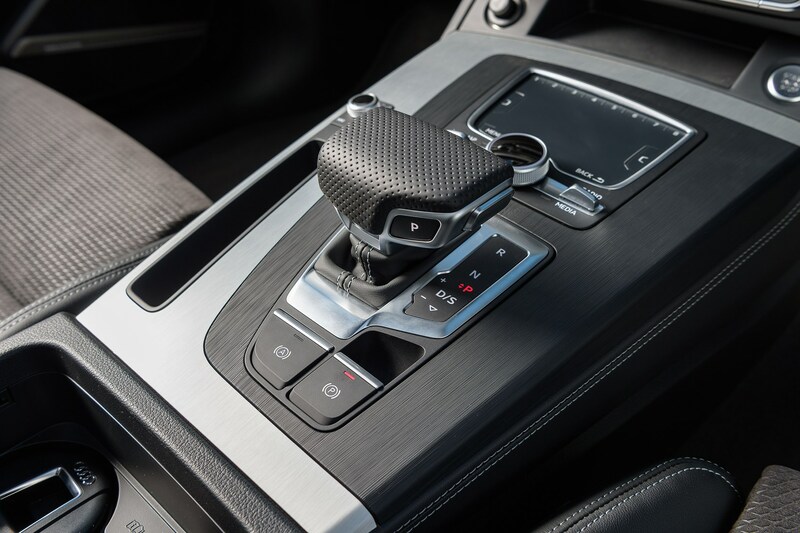 Disappointingly, however, only Vorsprung models will get a number of the most hi-tech safety gadgets as standard. 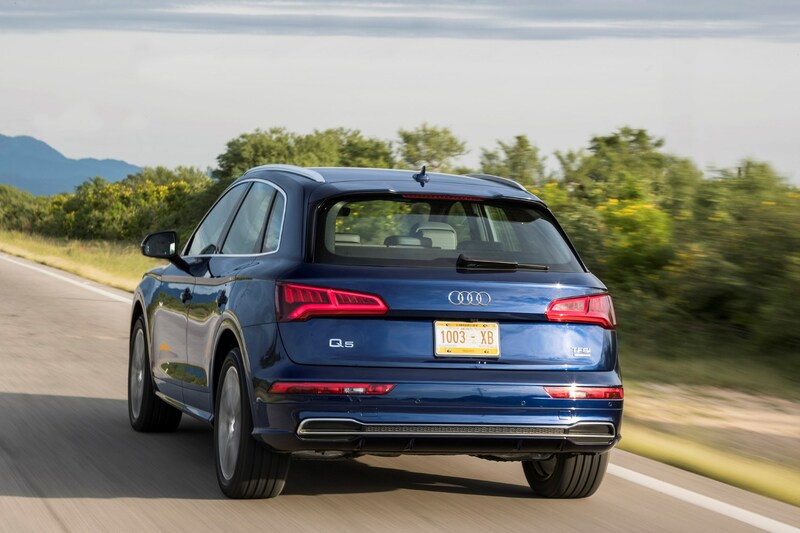 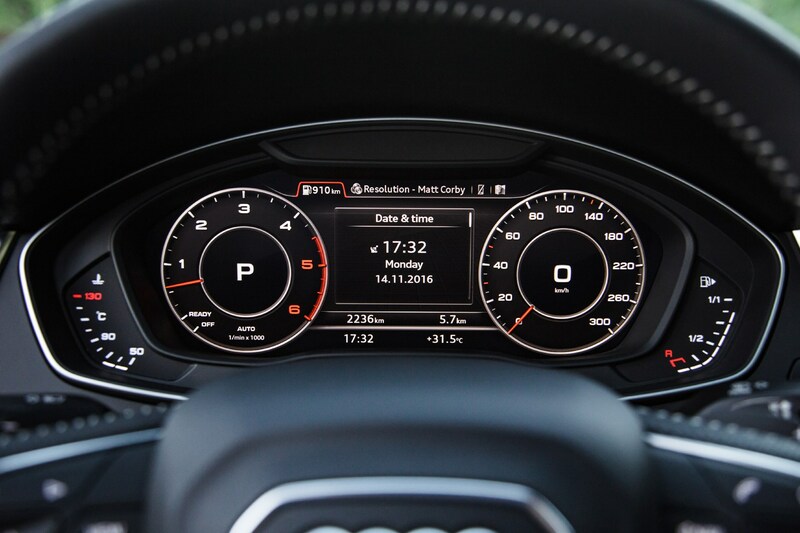 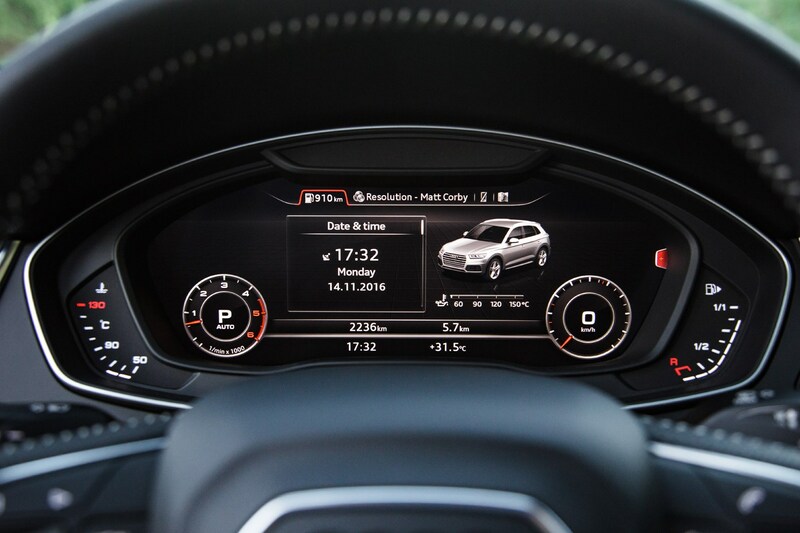 Those after adaptive cruise control, Audi Pre-sense Basic and Rear, Audi Side Assist and cross-traffic assist rear will either have to pay extra or go all out for the Vorsprung version. 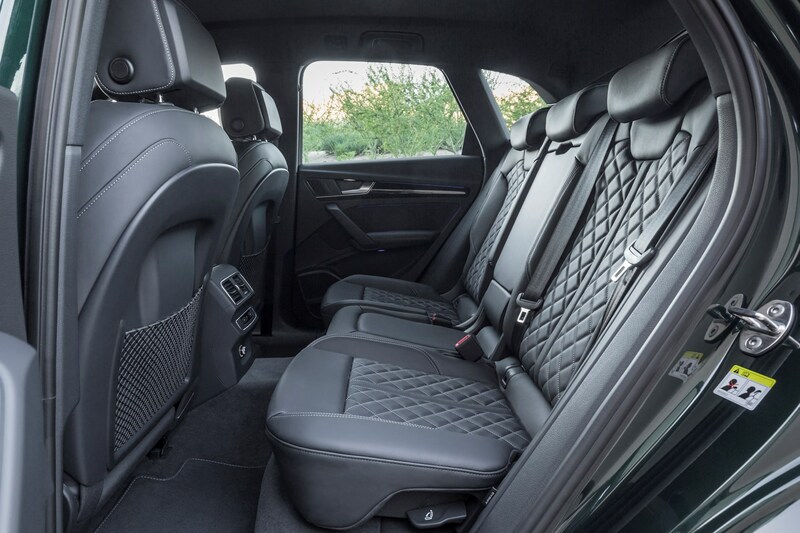 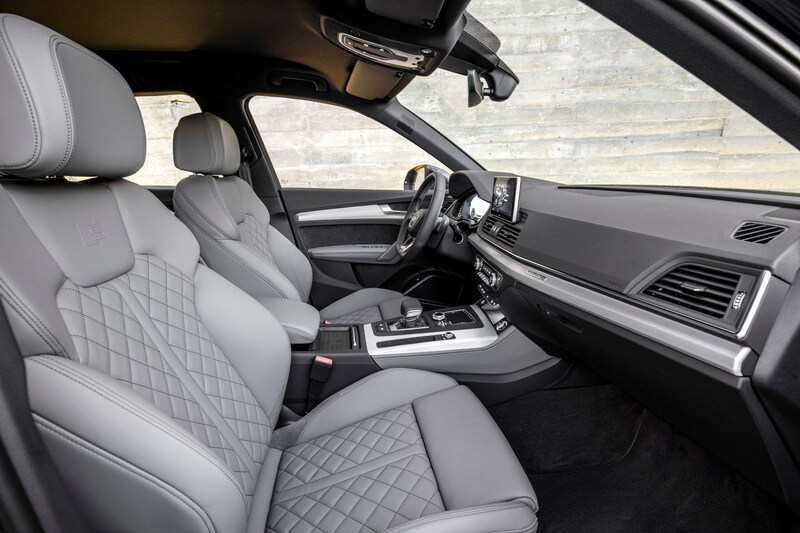 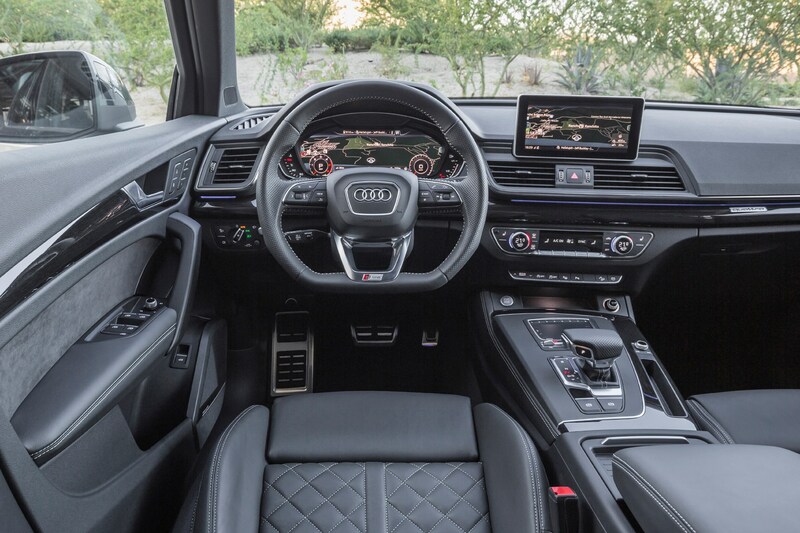 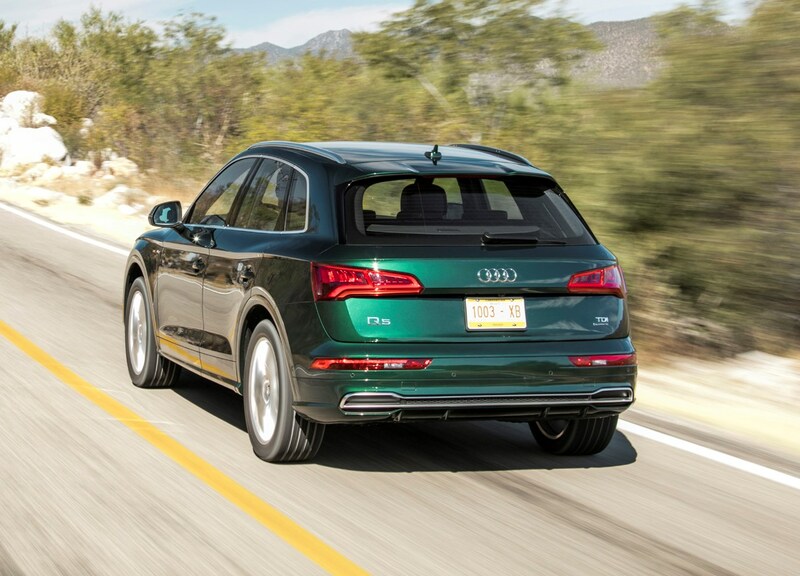 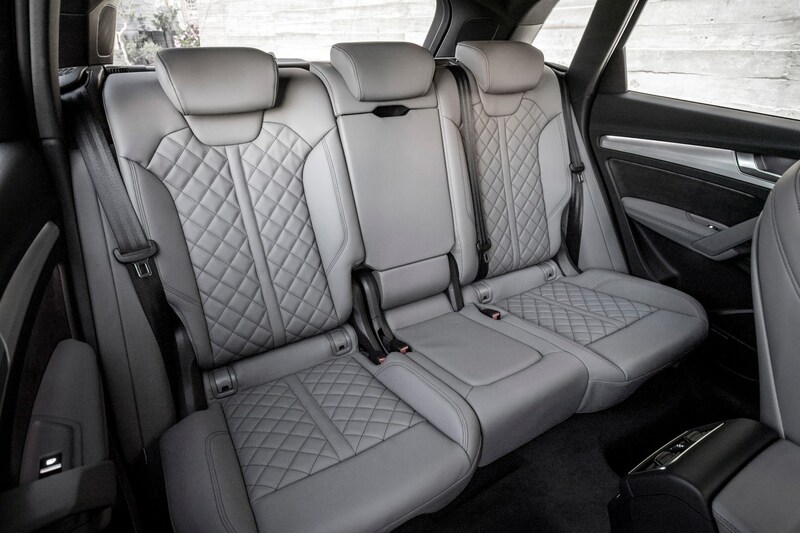 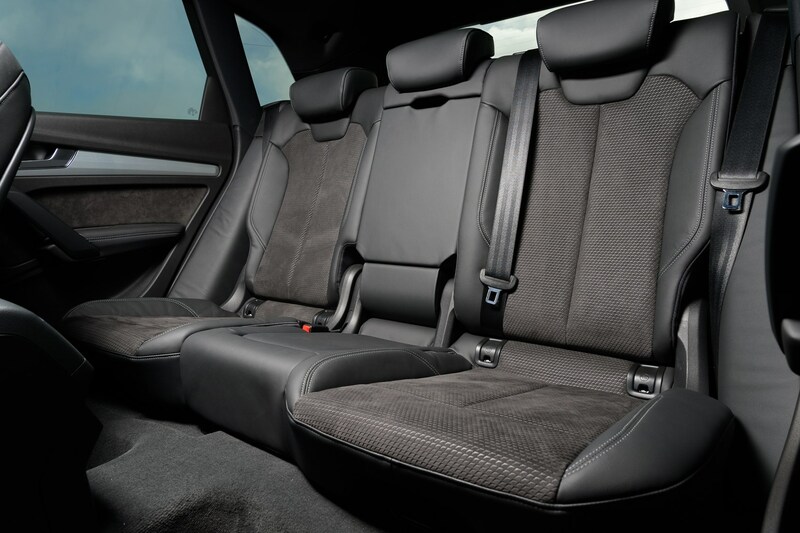 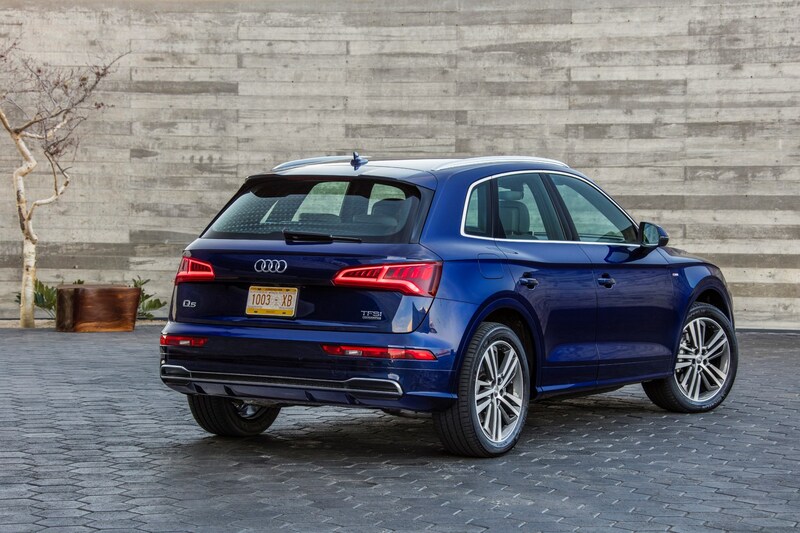 The Q5 isn’t a class leader for the amount of space it offers in the passenger compartment or boot, yet that doesn’t mean what’s on offer isn’t impressive. 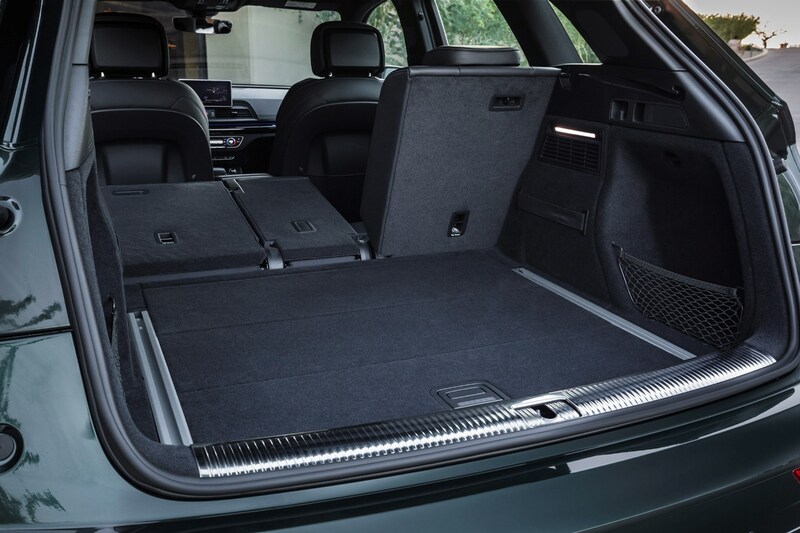 Pop the electronic tailgate open (standard on all models) and there’s 550 litres of luggage room with the rear seats in place, expanding to 1,550 litres with them down. 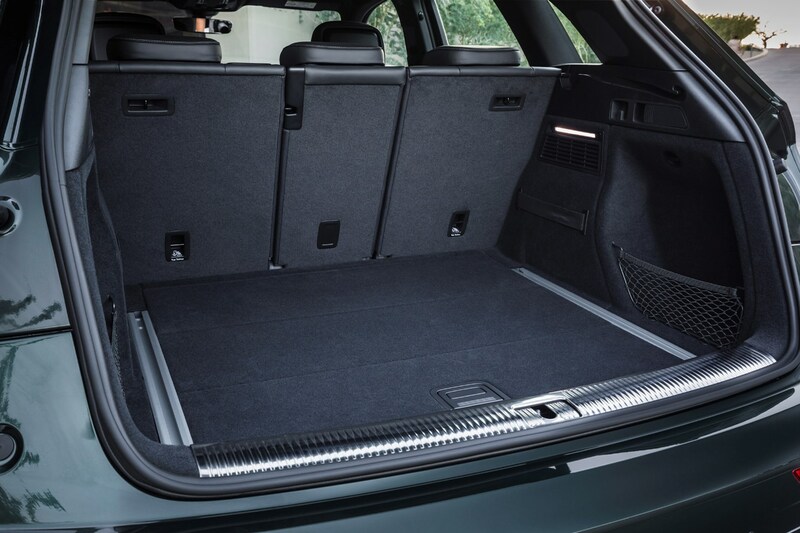 What’s more, the load bay is a good, square shape with no intrusion from the wheel arches. 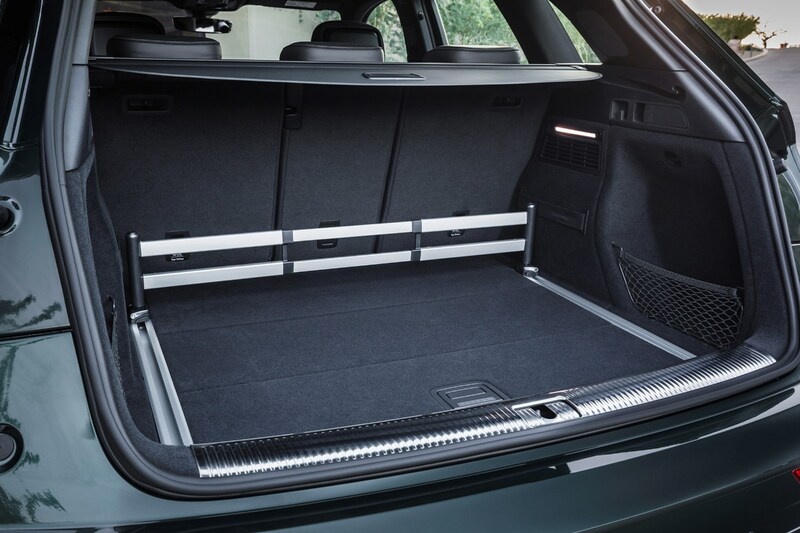 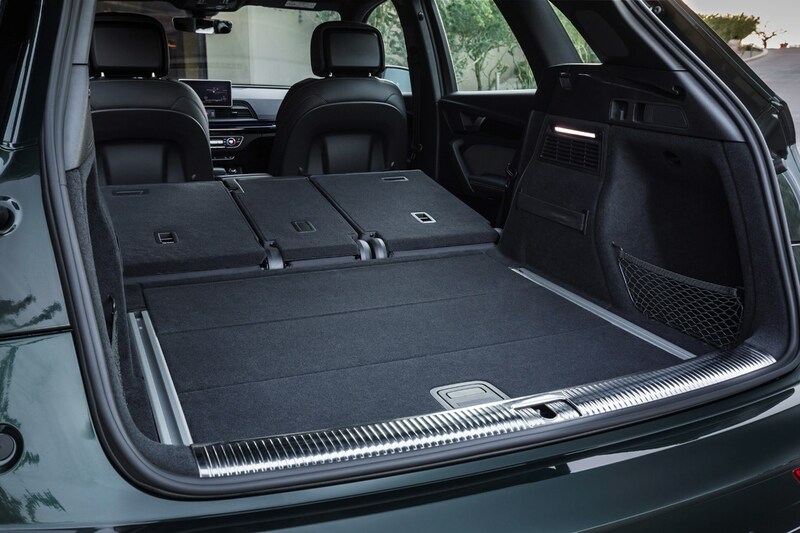 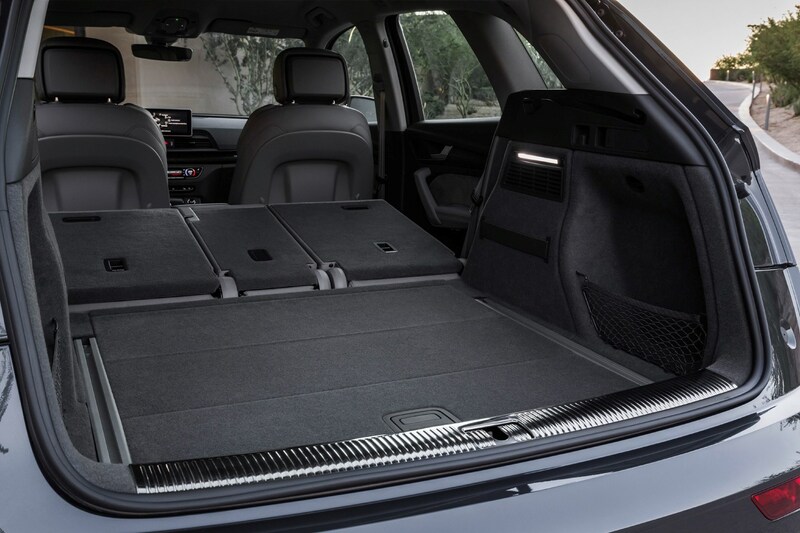 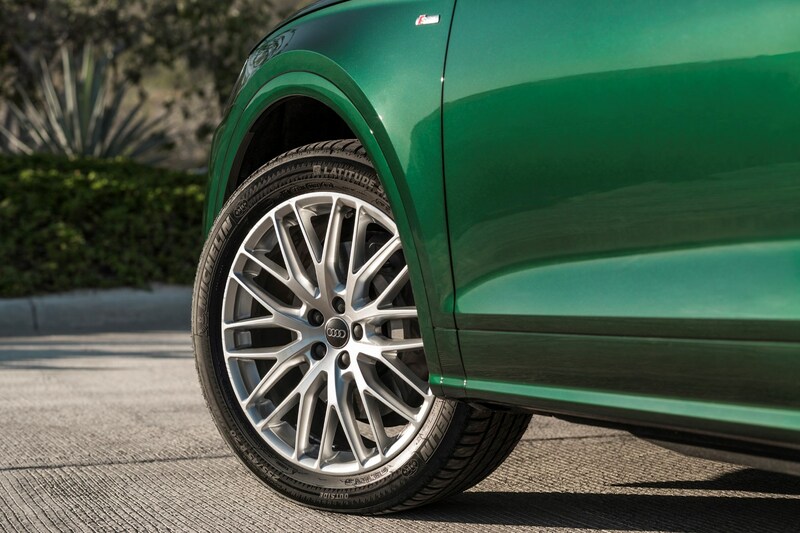 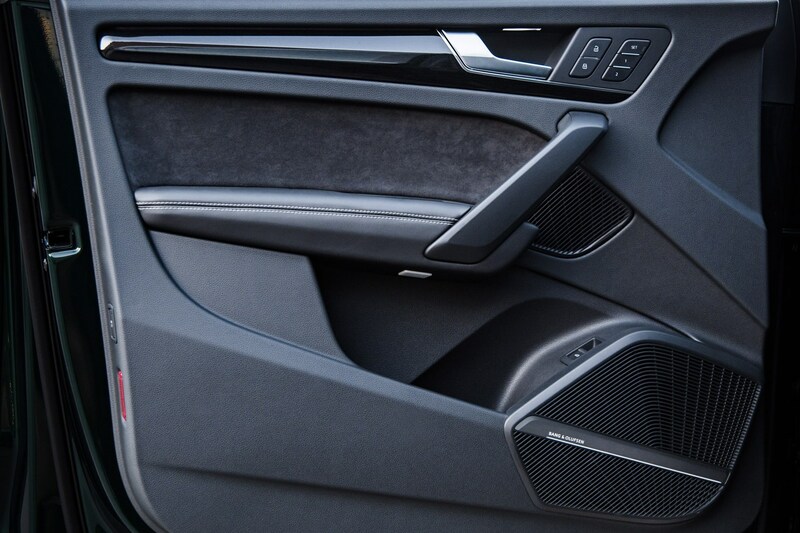 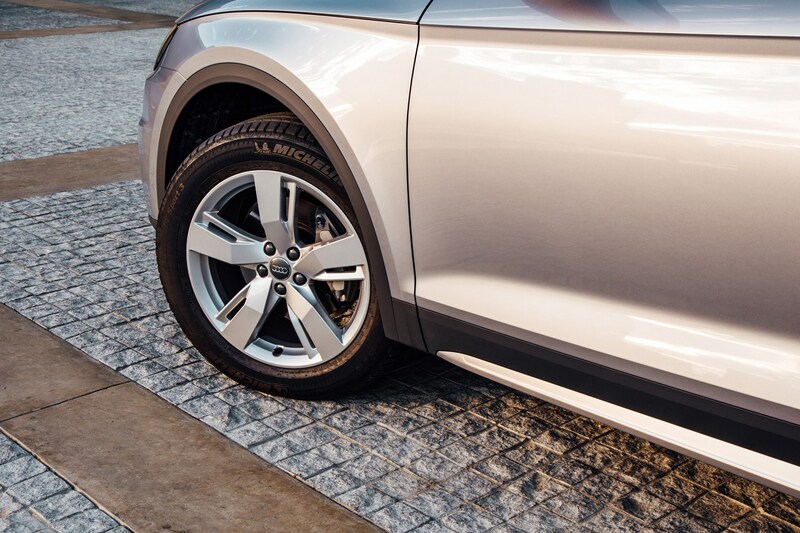 Only a small lip down to the boot floor counts against the Q5’s luggage capacity. 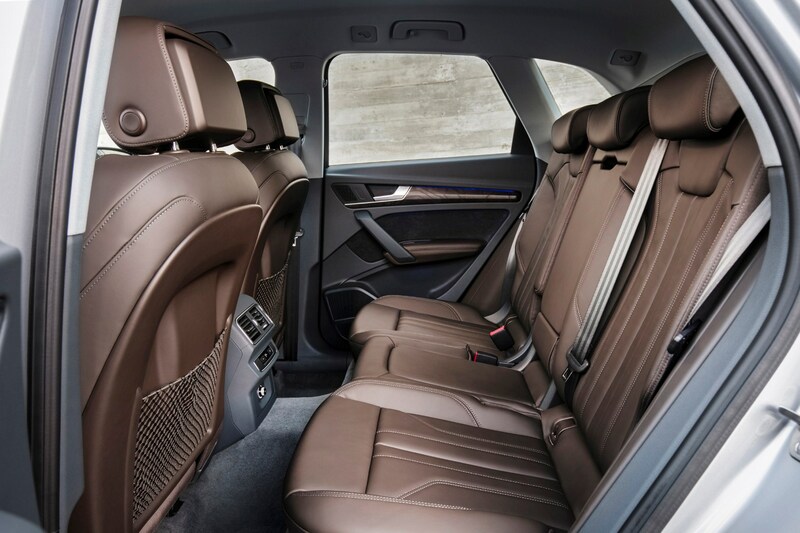 It’s similarly impressive in the cabin with room for five (despite the chunky central tunnel robbing middle seat users of legroom) and all their various bric-a-brac thanks to commodious cubby holes and cupholders. 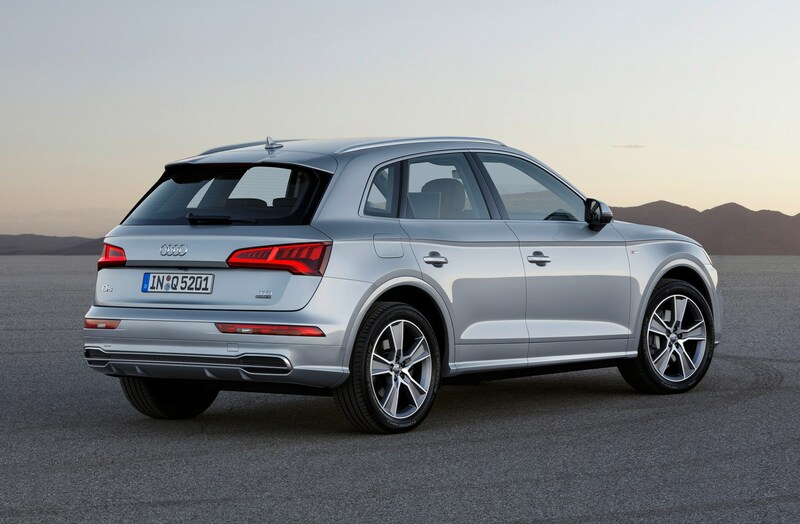 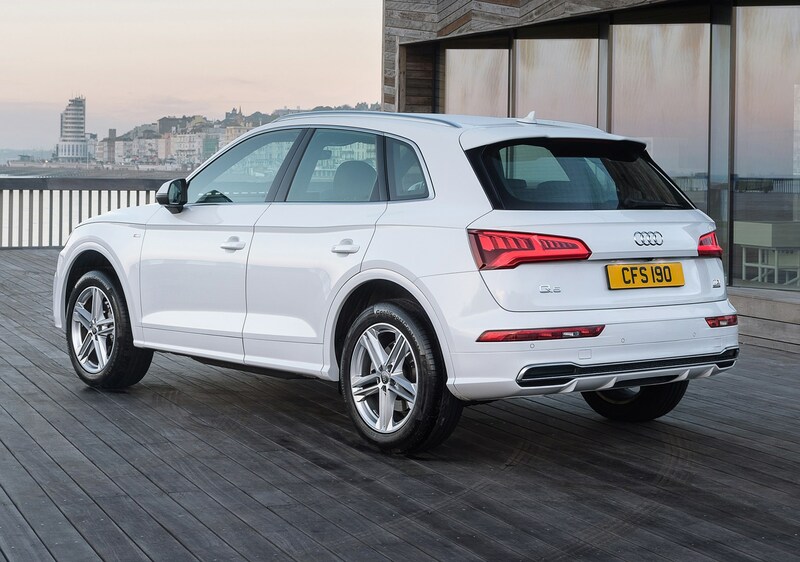 Whether you’re after a capable comfortable cruiser or a premium family SUV, the Audi Q5 has an awful lot going for it. 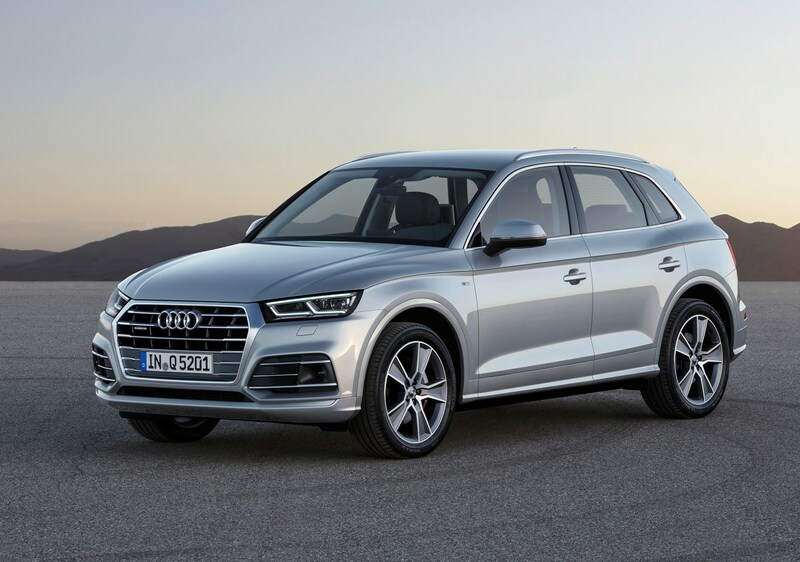 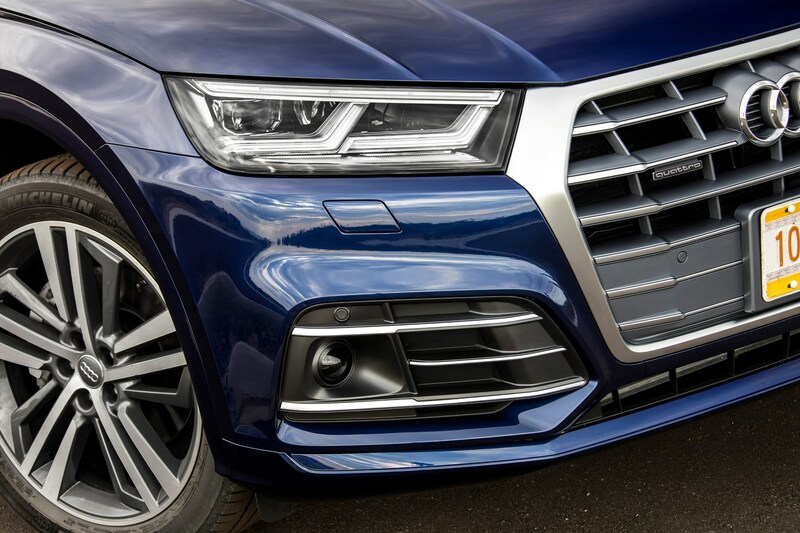 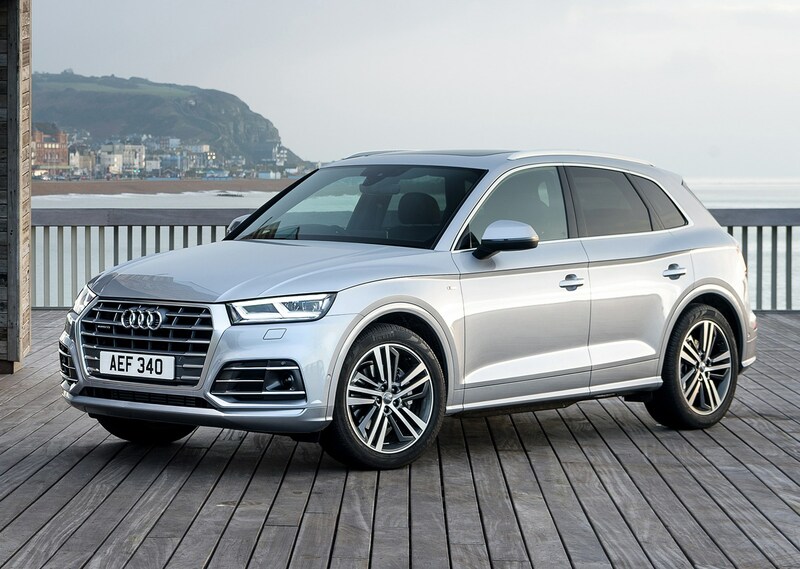 Even in base Sport spec with one the 2.0-litre engines, the Q5 delivers a polished, well-judged driving experience as well as boasting useful standard kit and all-round practicality. 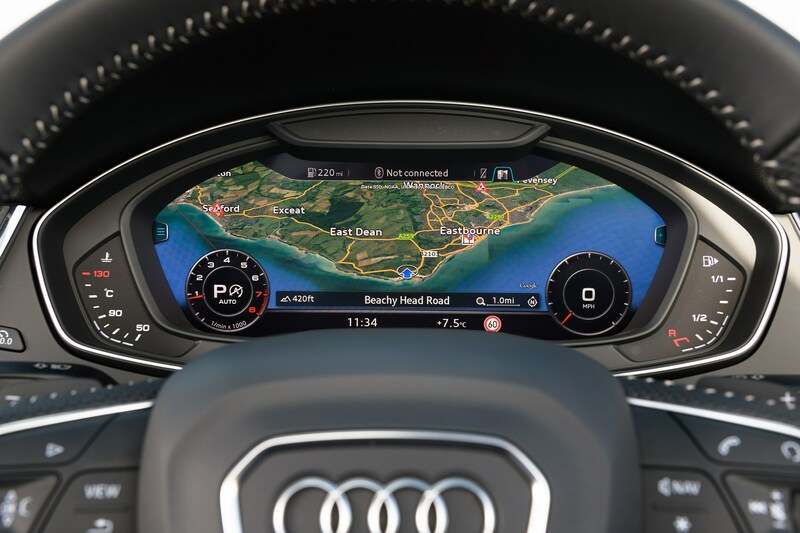 It’s just a shame that so much of the clever driver assistance tech is only available on the top-spec Vorsprung model or as a pricey optional extra.